Large polygon lens flare artifact in DSLR photo. 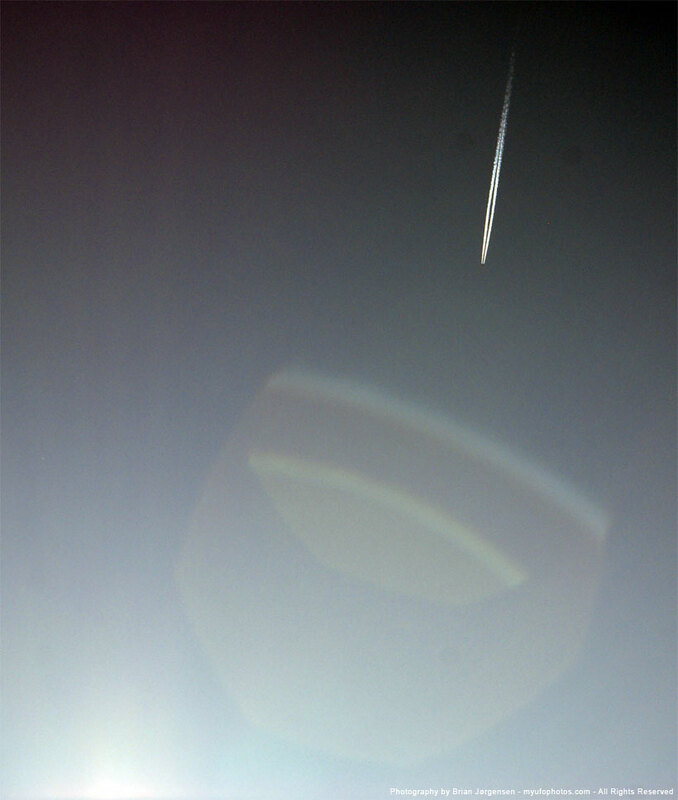 I was photographing an aircraft with contrail and this polygon lens flare showed up on the photo. Orange UFO sprinkles mystery substance?